One of the best things you can do to assist your children with reading is to engage them in talking about the books they read. Talking stimulates language development and helps children improve their comprehension. As you get ready to share a book with your child, you might ask your child to talk about the cover, the title, and a few of the pictures in the book. This “before-reading” conversation will help your child to build the expectation that stories make sense. This is also a good time to help your child connect personal experiences to the reading. If there is a picture showing a picnic, for example, this would be a perfect time to talk with your child about a picnic you enjoyed together. Did this remind you of any experiences you have had? What parts of the story were your favorites? Just choose one or two questions so that it feels like a conversation instead of a test. Happy Reading! What might happen next? Why? Or think of what the story’s about. 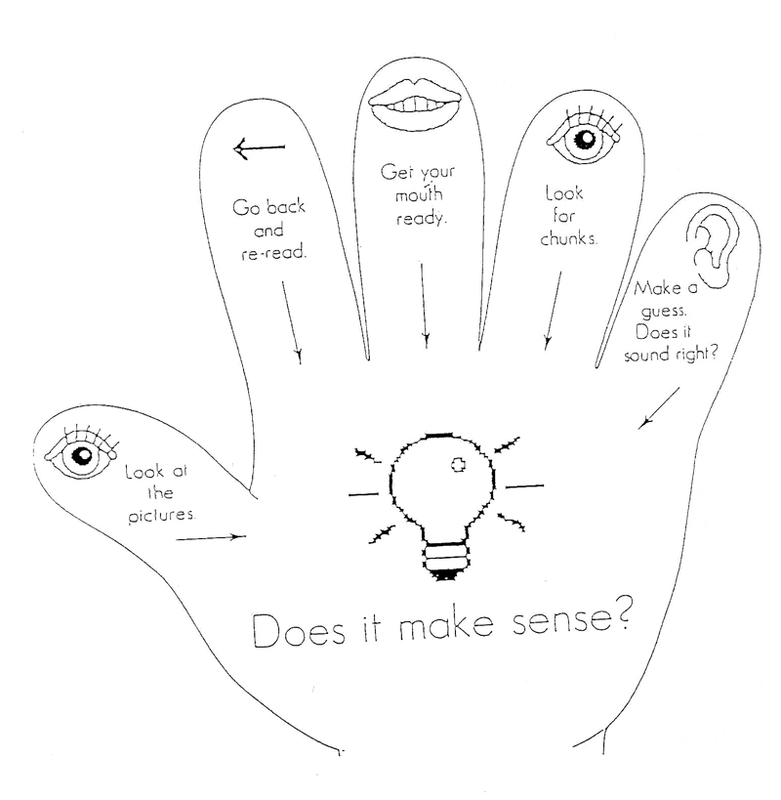 The Reading Hand is one visual tool that we use for teaching reading strategies. These strategies are used when a student hits a word they don't know.